What happens on the web every minute? Domo has the answer. And it’s almost unbelievable. 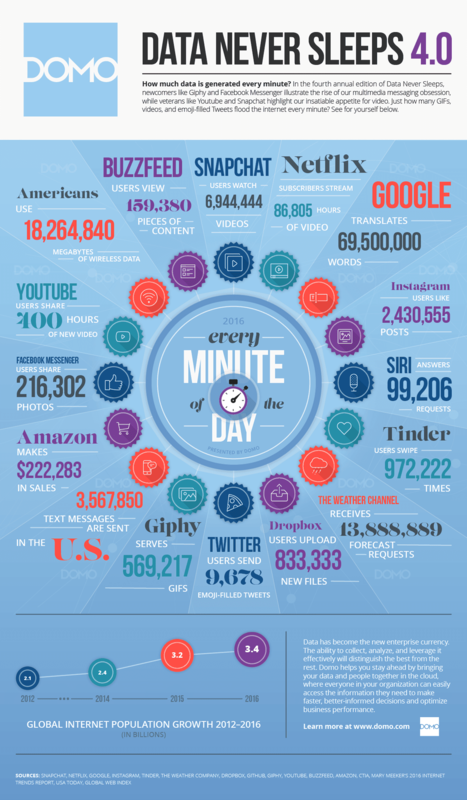 Their Data Never Sleeps 4.0 infographic shows how much we contribute and consume as global users every single minute, and how much the population of the internet has grown over the last four years. From how many gifs Giphy serves, to the amount of hours Netflix subscribers stream, even how much sales revenue Amazon generates, the data generated in today’s world is truly staggering. Check out the infographic below.